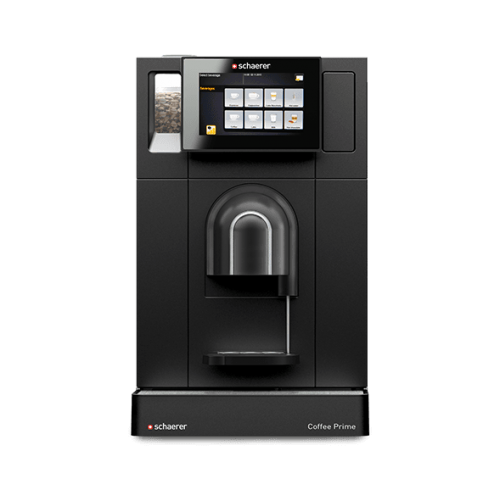 With the Schaerer Prime you can create coffee how you wish. 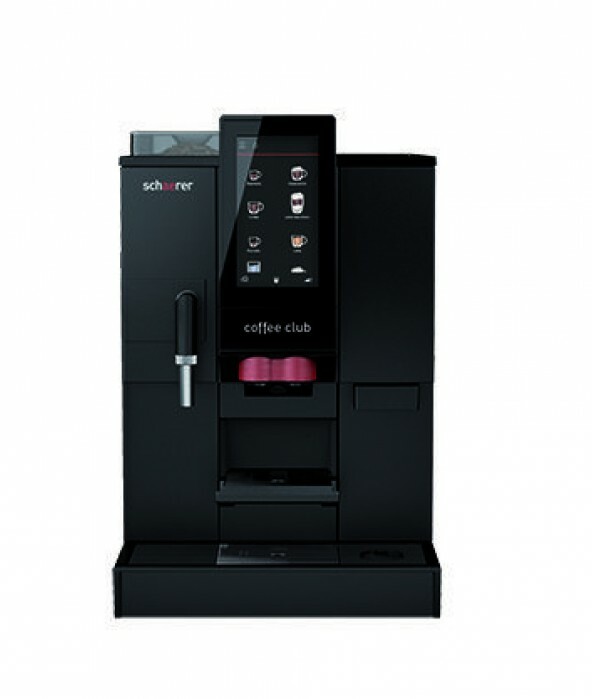 You can customize the coffee products. 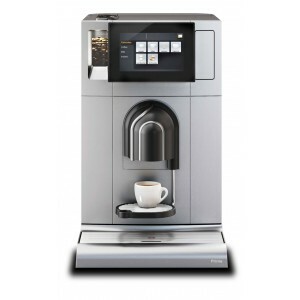 It´s possible to choose the size of the milled coffee and the dosage between coffee/milk/chocolate for EACH product. 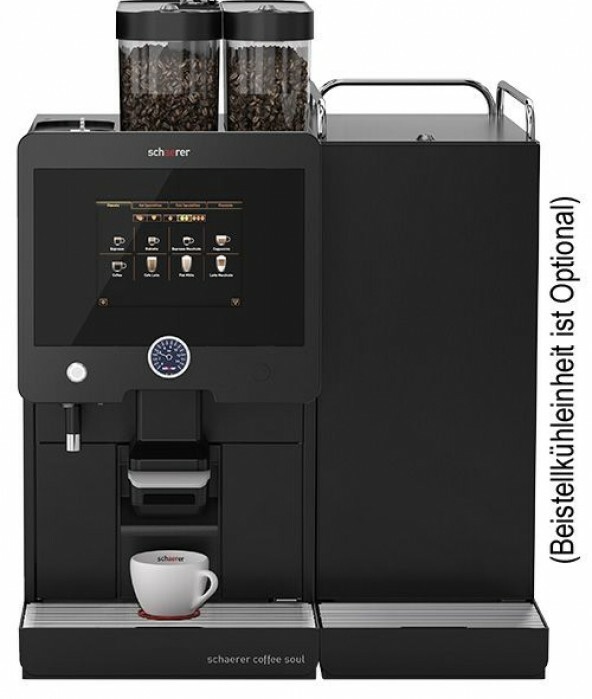 The standard version is equipped with a water container. You can also choose optional a permanent water connection (Rocco Profi). 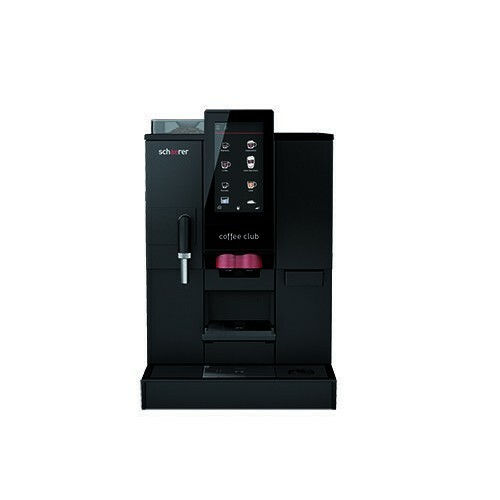 For big cups is a 14g brewer optional available, the 14 g brewer is only compatible with permanent water connection, not with the water container. 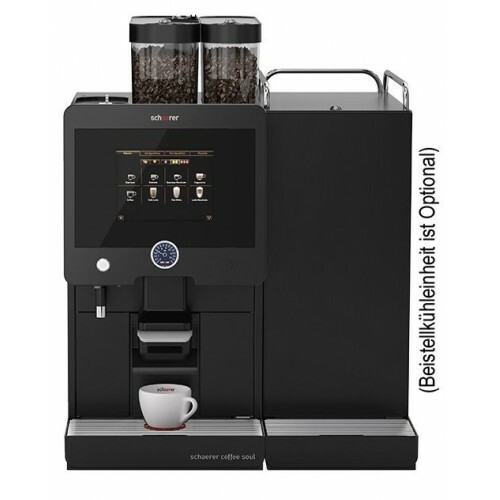 It is also possible to install a coin extension for use in bars, bistros etc. 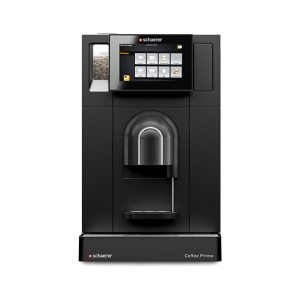 ... you will have very easy handling in the espresso variant of the Schaerer. It is also mobile because of the compact constructre of the machine. 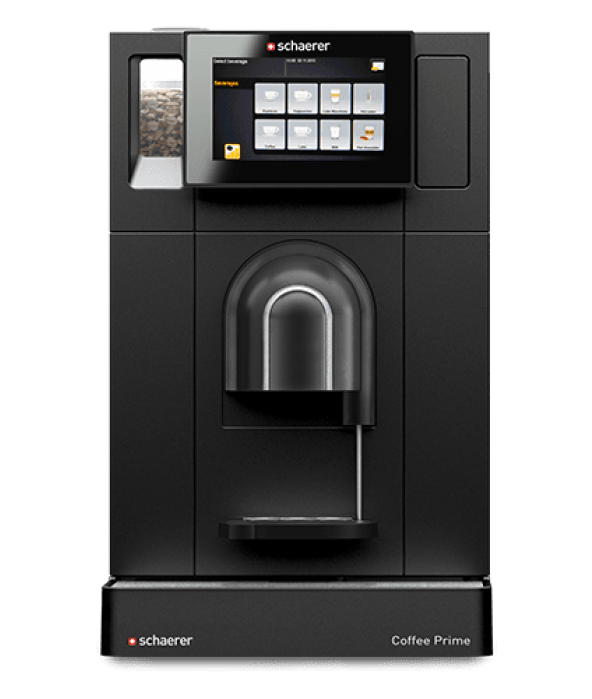 You and your customers will enjoy the great Coffee and all the other products from the Schaerer Prime. PRODUCT CONTAINER 1 product container on basic model. You can add up to 4 containers.